Please join us for our annual trip to see the beautiful and memorable Pageant of the Masters in Laguna Beach. This event is now sold out. Thanks for a great response! Friday, August 10, 2018, Show starts 8:00pm. Note: A pre-show event with live music will take place at the picnic grounds starting at 6pm. We will have light food and wine available to Harvard Club attendees. This event is now sold out. Thanks for a great response! 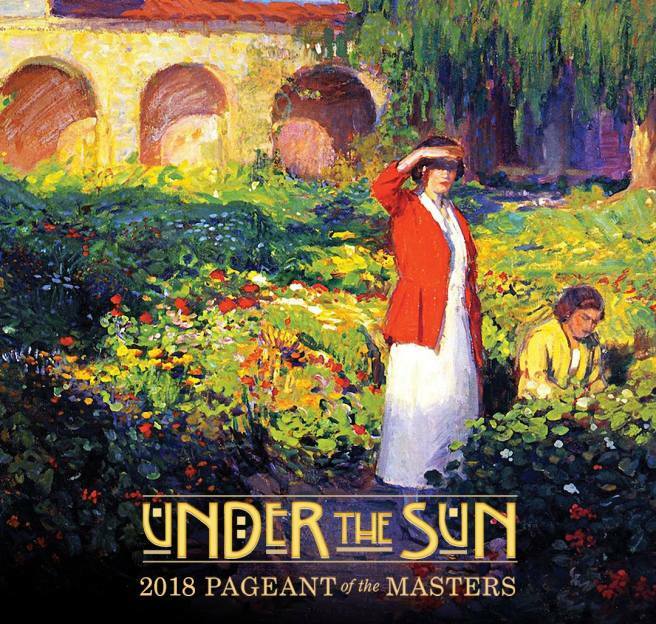 The Pageant of the Masters is one of the most unique productions in the country. Audiences are amazed and enchanted by ninety minutes of tableaux vivants (“living pictures”), incredibly faithful re-creations of classical and contemporary works of art, with real people posing to look exactly like their counterparts in the original pieces. 2018 Theme: In the early years of the 20th century, a new generation of impressionists and plein air painters set up their easels outdoors and reveled in the natural beauty to be found as far as the eye could see. In the 2018 show, UNDER THE SUN, theatrical magic, live music and light-hearted storytelling will honor Laguna’s own and other artistic pioneers from around the world who left their studios in search of new inspiration. Join us for our annual trip to see this memorable event in Laguna Beach. We will host a light food and drink event before the show at the picnic on the grounds of the venue. Attendees can also see live music and visit the Festival of Arts, one of the nation's oldest fine art shows. Please notice that the cost includes ticket convenience fee as well as free appetizers and drinks before the show.